We’ve baked up our most savory, crunchy protein creation yet. 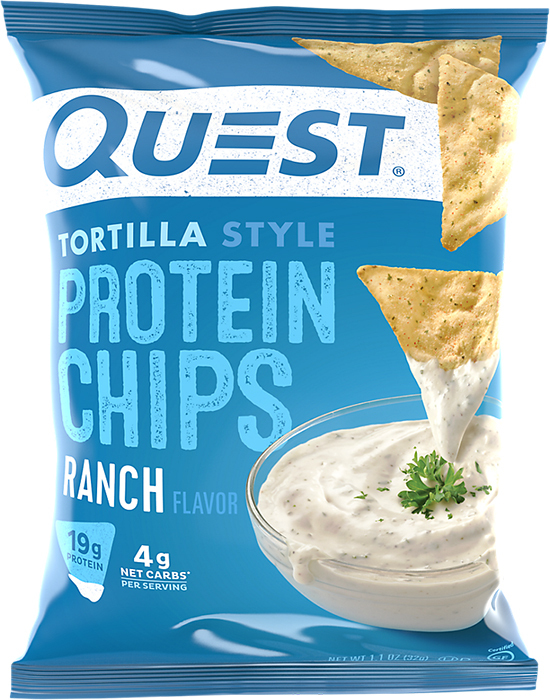 Quest® Ranch Tortilla Style Protein Chips have all the satisfying, zesty flavor of regular Ranch tortilla chips and a fraction of the total carbs! 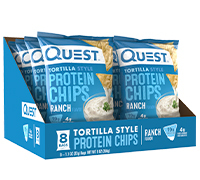 Quest Protein Chips revolutionized snack food, offering a delicious, savory way to #CrunchClean. 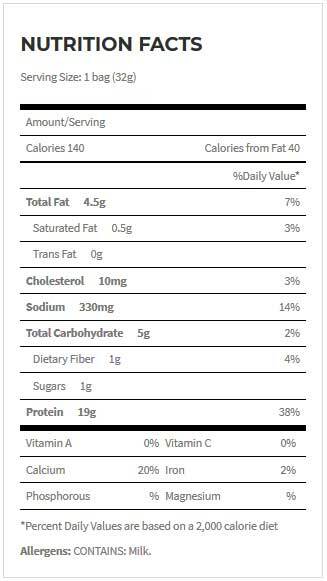 This new version of Protein Chips (what we're calling Protein Chips 2.0) changes the game again! The new formula has even more protein in every bite, an improved taste, and a crunchy texture that'll make you swear you're munching on junk food. We hope you like Chips 2.0 as much as we do! Get ready to revolutionize snack time all over again. Protein Blend (Acid Casein, Milk Protein Isolate, Whey Protein Isolate), High Oleic Sunflower Oil, Calcium Caseinate, Corn Starch, Natural Flavors, Buttermilk Powder, Nonfat Milk, Psyllium Husk. Contains less than 2% of the following: Cheddar Cheese Powder (Cultured Milk, Salt, Enzymes), Tomato Powder, Onion Powder, Garlic Powder, Spice, Salt, Soluble Corn Fiber, Whey Powder, Chia Seed, Turmeric Extract (Color), Malic Acid, Sugar, Sunflower Lecithin, Calcium Carbonate, Yeast Extract, Steviol Glycosides (Stevia).